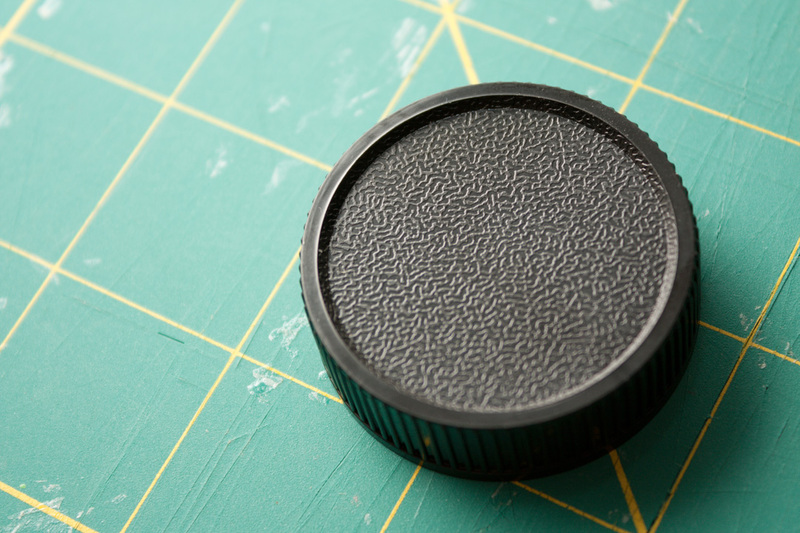 Using a reversed lens is a good (and cheap) method of macro photography. But an issue with this method is that it exposes the rear element of the lens and also means that you can't mount filters. 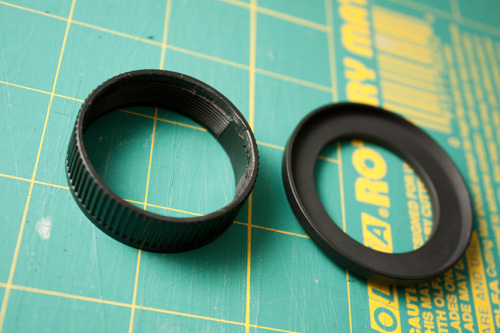 For my purposes, I wanted to be able to reverse mount my EL-Nikkor lenses, which have an M39 mount. 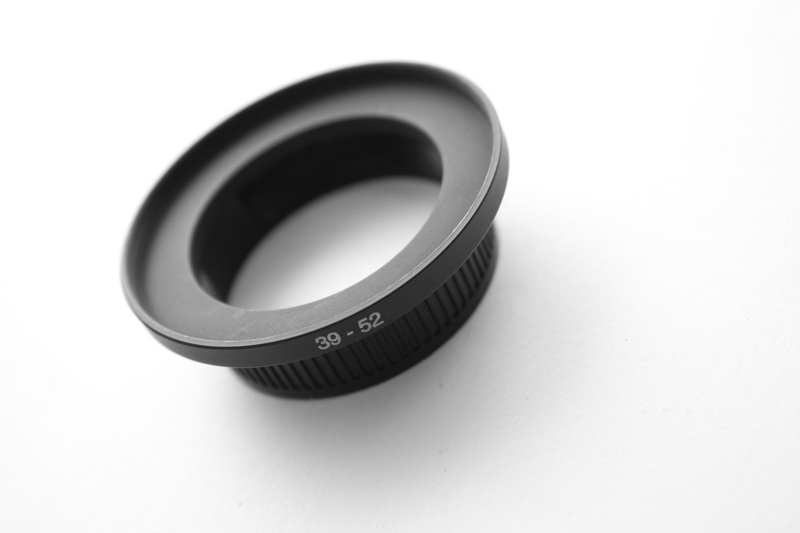 So I purchased an M39 rear lens cap and a 39mm - 52mm step up ring. 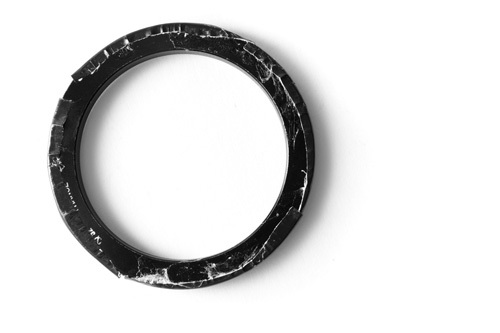 The step up ring size you want is dependent on the size of your lens' rear mount and what size filter thread you want to use. 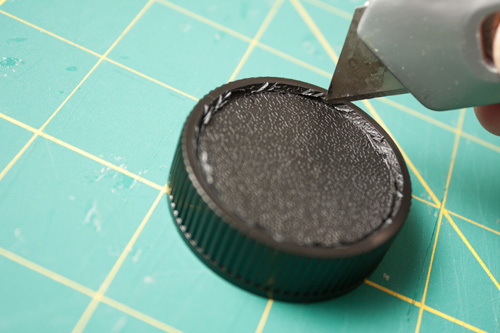 Remove the centre of the lens cap. If you have a dremel you can probably do this pretty easily and quickly. I don't have a dremel, so I just used a craft knife to make multiple cuts until I eventually cut through the plastic. With the centre removed I then had to do quite a bit more work until I had removed enough plastic round the edge for the step-up ring to fit inside the hole. When doing this be careful only to remove plastic around the end of the cap that the step-up ring will attach to. You don't want to damage the threads at the other end of the cap or you won't be able to screw it onto your reversed lens. I removed just enough plastic so that the step-up ring would screw into the cap. The metal threads of the step-up ring can dig into the plastic of the cap edge, just like the threads of a metal screw will cut into wood. This makes a secure, tight fit. 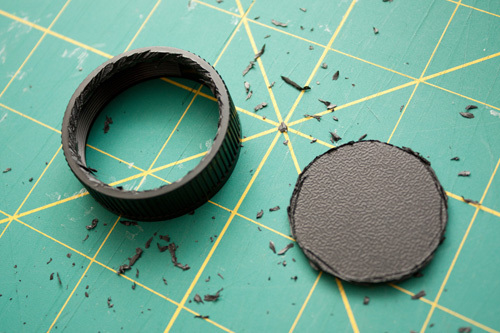 If you wanted to be sure the filter ring was attached securely, you could epoxy the stepping ring to the lens cap. But the ring screwed in very tightly for me, so I didn't think that was necessary. Same as previous photo, but with a Cokin A 52mm filter ring and MT-24EX Macro twin flash instead of the Baader filter and step down ring. 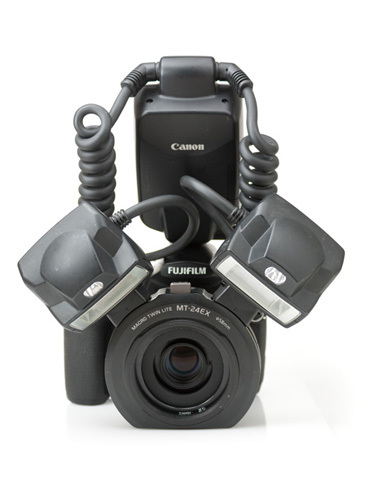 On a side note, as per the above photo, the lens mount section of the Canon MT-24EX macro twin flash will mount onto a Cokin A filter ring (meant for mounting the Cokin A filter holder on). I found that the flash mount would slip on the metal ring though. Adding some gaffer tape around the edge of the ring will fix this and give the flash mount a good grip. I hope this post will be useful to anyone else using reverse lens macro. If you have any suggestions or comments, feel free to leave a message below. 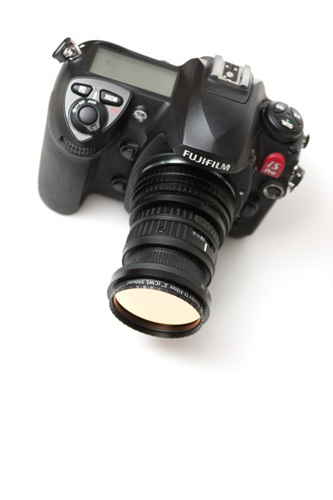 Another good (related) tip: Use cheap extension tubes as a lens hood for a reversed lens. It’s more elegant than a toilet paper role (another popular solution for enlarger lenses).